Time to bring in help for your parents, but mom or dad is resistant to receiving any care. Retire-At-Home Services has strategies that can help! You are not alone, resistance to care is one of the major challenges in initiating home care for many families. Retire-At-Home Services Toronto and North York has strategies that could help your parents cross the initial barrier, and have you benefiting from the help and support of our care services. they feel they do not need help. They are not aware of their own decline, or you are doing so much for them, their needs are fully met. memory loss, making it difficult for your loved to understand why he or she needs help. What are the best strategies for managing resistance to care? One of the least effective ways to go about this is to get into a confrontation or power struggle with your parents. It is difficult to make anyone do anything against their will. Start with housekeeping. ‘Mom, I have a cleaning lady, it is a wonderful thing, and it has nothing to do with my independence’. Ask your parents what tasks in which they could use help. DO NOT decide for them. Suggest large tasks such as window washing, floors, toilets…this may feel less threatening than imaging a stranger washing their clothes. Once the housekeeper is there, she can offer additional tasks gently and at your parents’ pace. Introducing groceries and further care. After the housekeeper is settled in, we will suggest the housekeeper phone your parents prior to her visit to state that she is running to the grocery store on the way to their house and would your parents like her to pick up a few things (milk, coffee, bread). Presented in this fashion, it will not feel like your parents are in “need”, but are benefiting from a convenience. Over time, the trust and rapport with the caregiver will increase, and so will the caregiver’s duties. 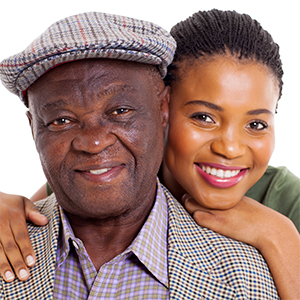 Retire-At-Home Services Toronto and North York will work with you and your parents to do our best to help. Starting off slow, and taking our time to build trust with you and your loved one is our first priority. If your parents won’t accept help right away, we can still explore a few options. Parents won’t accept care: What else can be done? If your loved one continues to resist care and is endangering himself or herself, enlist the help of a professional. Your loved one might be more willing to listen to the advice of a doctor. Doctor’s orders, or the strong advice of a doctor to have support at home is often a turning point for some families.